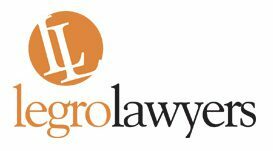 Based in western Melbourne, Legro Lawyers and Legro Conveyancing is a local firm with city experience. Put simply, our aim is to ensure your legal issue is understood, your rights are protected and that we assist you to achieve a resolution in a timely and cost effective manner. Our friendly and highly experienced team understand that legal help is often sought at significant or stressful times in your life. By working closely with you, we strive to relieve the burden of your legal issue and to provide you with the best advice and representation needed to obtain an outcome that allows you to move on with your life as soon as possible. Our experienced practitioners offer a professional, result driven, prompt and personable service in a cost efficient manner. Legro Lawyers and Legro Conveyancing have been established for over 10 years in Melton and also services surrounding areas of Werribee, Hoppers Crossing, Point Cook, Hillside, Caroline Springs, Rockbank, Taylors Lakes and Bacchus Marsh. If you need legal advice or representation for the first time, or want to try a new firm with city experience, either send us an email using the form on the right or give us a call on 03 9747 9679.